Gibson Events formed in 2007 as a full service event design and production company in central Oklahoma. With planning experience in Oklahoma, Texas, Missouri, California plus Scotland and Mexico, Gibson Events is happy to travel for destination events anywhere our passports will take us! Named to Martha Stewart Weddings Top Planners list in 2014, Gibson Events prides itself on providing the highest quality wrap around service to our clients. Sooner born and Sooner bred, Lindsay has traveled extensively in North America and Europe but is proud to call Oklahoma home. With degrees in Early Childhood Education (B.Ed.) and International Child Advocacy (M.A.) she makes her parents proud by using neither. Lindsay has been planning weddings since her own in 2004 and plunged into Gibson Events headfirst in 2007. 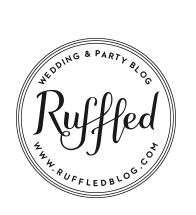 She has been recognized as a certified wedding planner by the Association of Bridal Consultants and her work has been featured in Martha Stewart Weddings, Cottage Hill, and the Brides of Oklahoma, among others. Lindsay has a passion for travel, cooking and mid century architecture. She lives in Norman, Oklahoma with her husband, daughter, rescued Italian Greyhound mix and overweight elderly cat. Born and raised in Sacramento, California Courtney made the big move to Oklahoma 3 years ago. After years of dodging tornados, cheering on OKC Thunder, and devouring chicken fried steak, she is happy to say she’s officially an Okie. Courtney graduated from the University of Southern California with a degree in Communication and immediately put her degree to good use planning weddings in Northern & Southern California. With five years of wedding planning experience under her belt, she is delighted to share her passion and talent with her clients as a member of the Gibson Events team. 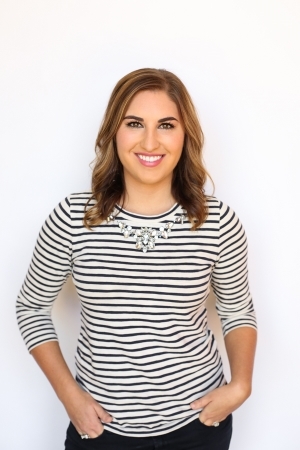 Courtney is a foodie fanatic, travel enthusiast and interior design aficionado. She lives in Oklahoma City with her husband, rescue Lab-mix Mumford (yes after Mumford & Sons), and her new Labrador pup Chester.